At center of Egypt Yellow Pages Ltd’s new strategy is the active pursuit of cooperative agreements with other online players. The new strategic direction initiated by Egypt Yellow Pages Ltd in 2009 gained momentum 2010 and has put in place a firm foundation for success in the year to come. At center of Egypt Yellow Pages Ltd’s new strategy is the active pursuit of cooperative agreements with other online players. In 2010, Egypt Yellow Pages Ltd signed an agreement with Egypt’s Ministry of Administrative Development to provide government mapping services on Bawaba, the country’s e-government portal (egypt.gov.eg). The collaborative effort included the launch of mapping services for Egyptian citizens, helping users to locate government services’ authorities through Yellow.com.eg, as well as door-to-door routing directions. Following the legalization of GPS for commercial use in Egypt, Egypt Yellow Pages Ltd entered into a joint agreement with the leading global provider of digital maps, traffic, and location data for navigation and location-based platforms NAVTEQ and Nokia. The project provides mapping services on Nokia mobile phones using data made available by Egypt Yellow Pages Ltd, which under the agreement, is the sole advertising agent on the NAVTEQ Platform and Nokia’s OVI Maps Platform in Egypt. Egypt Yellow Pages Ltd also entered into cooperative agreements with two of Egypt’s top online news portals. Egypt Yellow Pages Ltd partnered with Al Masry Al Youm to allow users of almasryalyoum.com to search Yellow.com.eg, in exchange for exclusive advertising space on Al Masry Al Youm’s website. Egypt Yellow Pages Ltd’s customer base will benefit from the broad traffic reach on Al Masry Al Youm’s website, which is considered one of the premier independent electronic news portals in Egypt. In addition, Egypt Yellow Pages Ltd joined hands with akhbarak.net, the Middle East’s leading news aggregator and an online and SMS-based directory, in an advertising partnership. Similarly to the above, Akhbarak’s user base can search for Egypt-based companies on its site pulling data from Yellow.com.eg’s databank. The collaboration produced a joint SMS directory for people who are “on the go.” Mobinil, Vodafone, or Etisalat mobile subscribers can simply send the name of the company for which they need contact details, indicating where that business is located (example: Pizza Hut in Maadi), to 9110 and the data is returned immediately to the sender. Moreover, a similar advertising opportunity to that of Al Masry Al Youm’s exists in the relationship. In the recent years, Egypt has witnessed an explosive increase in mobile phone users and a growing trend toward using smart phones and 3G services. Over and above Mobile Yellow Pages, most commonly used with Nokia devices, Egypt Yellow Pages Ltd also provides its services through an application that can be installed on iPhones and support GPS location-based services. It will soon launch an application for Blackberry handsets that support these services. Along with all these successes, Egypt Yellow Pages Ltd was also engaged in the community in which it operates. Under its social responsibility program, Egypt Yellow Pages Ltd made charitable donations to the Children’s Cancer Hospital, in addition to providing charitable organizations with free advertising in its directory. The environment also ranks high on Egypt Yellow Pages Ltd’s list of priorities. Egypt Yellow Pages Ltd came out with a new reduced size print directory, which not only uses less paper, but is made of recycled paper and an environmentally friendly ink, known as green ink. Egypt Yellow Pages Ltd collects its old directories from hotels before delivering new directories, donating the old ones to the Resala Charity Association, which then recycles them, financially supporting its operations. Egypt Yellow Pages Ltd’s new strategy showed impressive results during 2011. Annual internet revenues doubled from the previous year and monthly traffic on Yellow.com.eg tripled from January 2010 through December 2010. Despite this surge in internet usage and revenues, Egypt Yellow Pages Ltd still made 55% of its revenues from print operations. 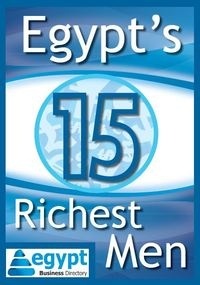 The year 2010 saw an increase in the number of print directories, reaching 370,000 free copies in Egypt – 300,000 copies of the Egypt-wide directory and 70,000 copies of the Sinai Red Sea Region directory, which covers both Sharm El Sheikh and Hurghada. The Egypt Yellow Pages Ltd directory, both print and electronic, includes data for over 175,000 businesses and 115,000 map locations – some 70% of this data is geocoded. Egypt Yellow Pages Ltd is committed to building upon the successes achieved in 2010, and providing the quality services that have made it Egypt’s local search engine.